Even though YouTube is always changing How Recent Changes to YouTube Will Affect You How Recent Changes to YouTube Will Affect You Chances are, you've been on YouTube. You've probably watched a lot of video — you may have even uploaded a few. Whatever your reason, you need to know about a couple of big updates. Read More , one thing they can’t seem to figure out is that people want a way to automatically control video quality. In an age where we’re used to high-definition video, it’s jarring when videos start in unacceptably low quality. We’ll have to go outside the YouTube settings to find a solution to this issue, and it’s a Chrome/Firefox/Opera extension called Magic Actions for YouTube. Grab it from the Chrome Web Store for Chrome or the official website for Firefox and Opera. This extension actually lets you tweak all sorts of YouTube settings, but for now, we’re most worried about video quality. Scroll down in the settings box and ensure Enable Auto HD is checked. 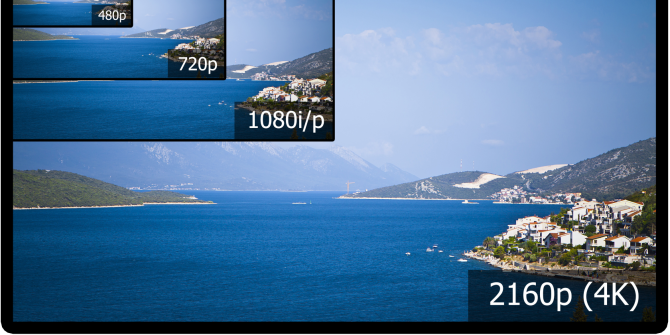 Below you can choose the default quality, from 5K all the way down to the lowly 144p. 4K is probably overkill Why Buying A 4K TV Right Now Is A Waste Of Money Why Buying A 4K TV Right Now Is A Waste Of Money With an obvious price difference between the new generation of 4K TVs, and older Full HD models - do you really need 4K? We think not, and here's why. Read More , so 1080p should do just fine, but try 720p if you’re on a slower connection. Another related setting to check is Speed Booster, which should make YouTube videos load faster and will be noticeable with auto-HD enabled. Depending on the length of the video, it may even load all at once instead of the normal piece-by-piece loading. It's interesting how the ads on Youtube never have trouble buffering. With these two perks enabled, you won’t have to waste time manually switching every video you watch to HD, and buffering will fade into the background. If things still aren’t fast enough for you, there are other ways to speed up YouTube Tired of Buffering? 3 Ways to Speed Up YouTube Tired of Buffering? 3 Ways to Speed Up YouTube If YouTube is being slow, here are a few tips that may help solve your issues. Read More . Will you enable auto-HD with this extension? What’s your preferred viewing quality? Let us know what you’re watching on YouTube below! Explore more about: Browser Extensions, Online Video, YouTube. The Google Chrome Keyboard Shortcuts Cheat SheetFirefox Is Now Global on iOS: How Does It Compare? "...but try 720p if you're on a slower connection." Geez, if you think that's a slow connection that has to go that low, what would people say about my work internet, where I can only have a 360p video going if nobody else in the building is trying to also stream video. Under Account Settings > Playback, there's an option to "Always choose the best quality for my connection and player size". For me, it always chooses 1080p or 1080p60. My connection is always a minimum of 10megabits, though, so that might be why.